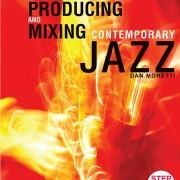 Capture the authentic sounds of contemporary jazz. 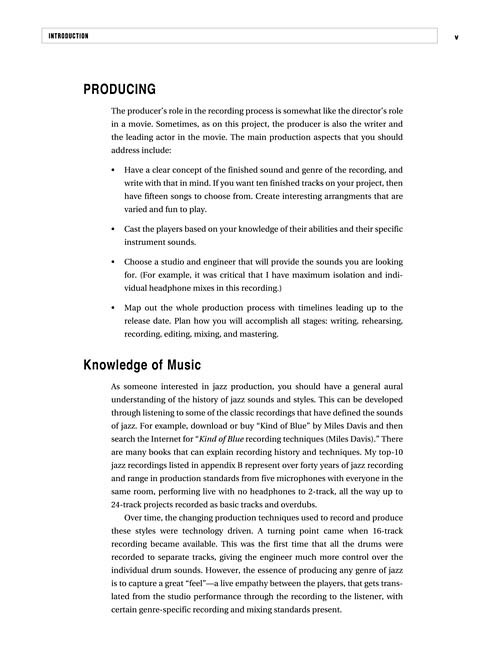 This step-by-step guide will help you produce professional-sounding jazz recordings. 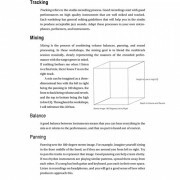 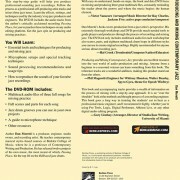 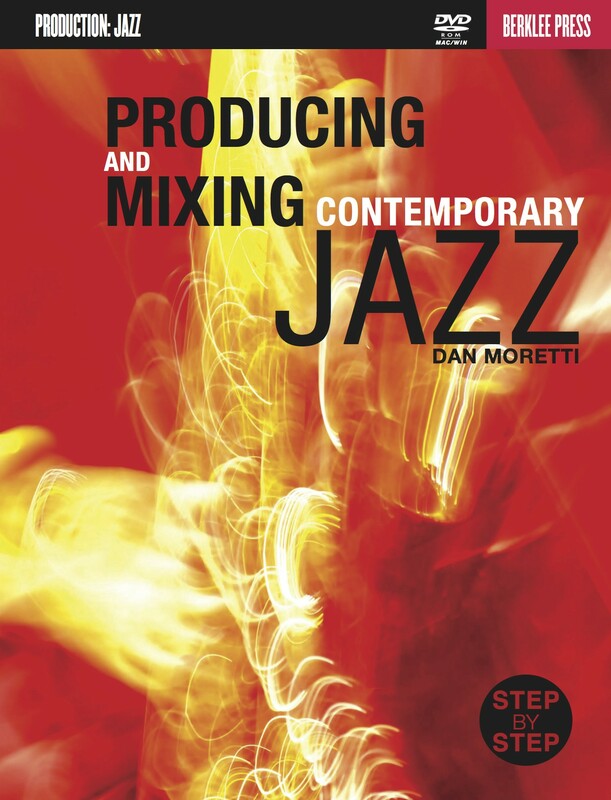 Follow the process as a professional self-producing artist tracks and mixes three jazz tunes. 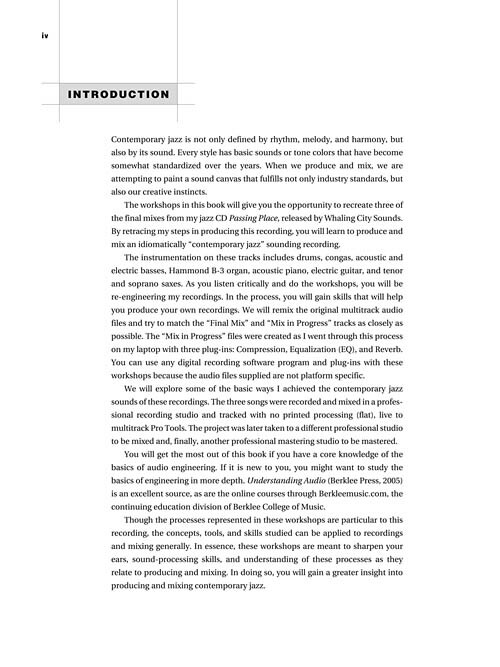 Learn the effects, settings, and techniques used by the industry’s top jazz producers and engineers. 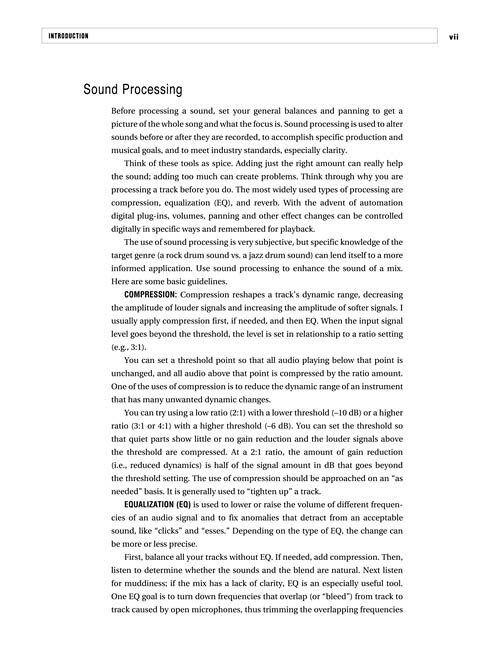 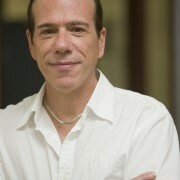 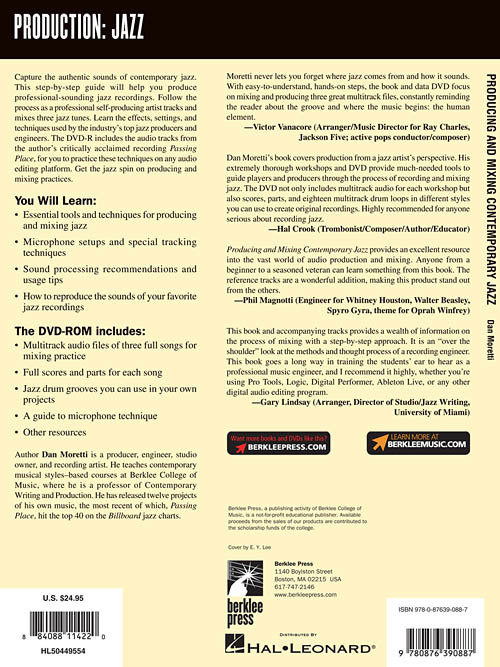 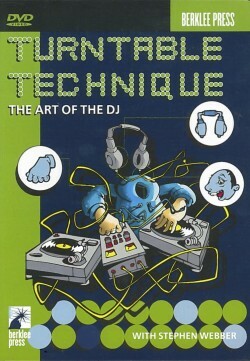 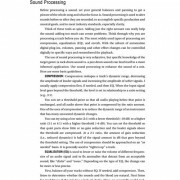 The DVD-R includes the audio tracks from the author’s critically acclaimed recording Passing Place, for you to practice these techniques on any audio editing platform. 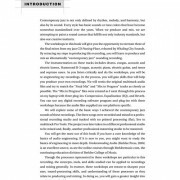 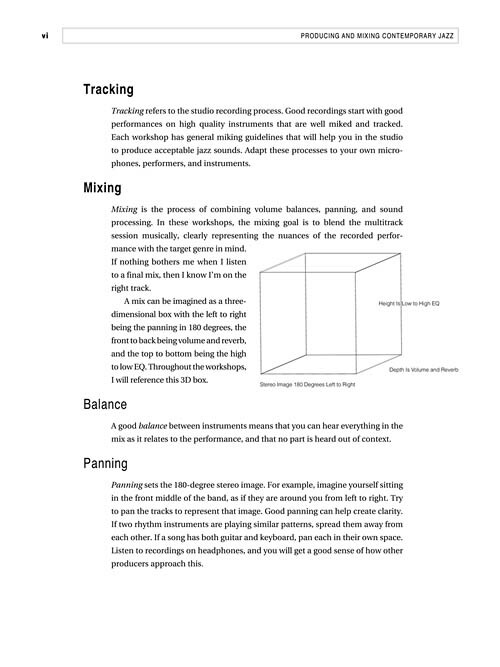 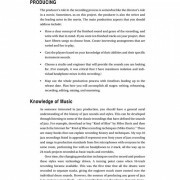 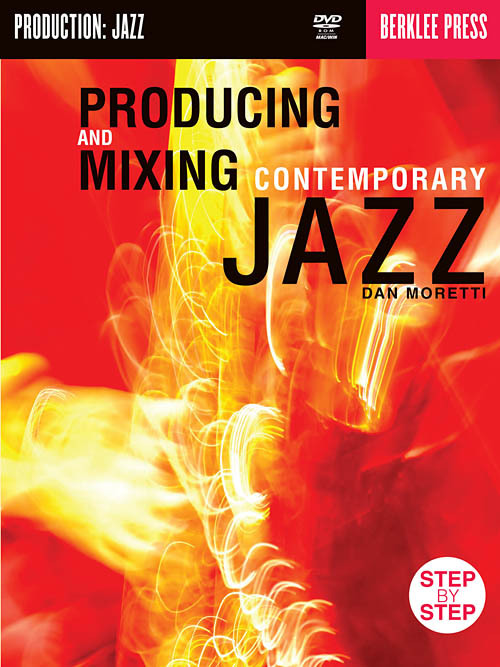 Get the jazz spin on producing and mixing practices.